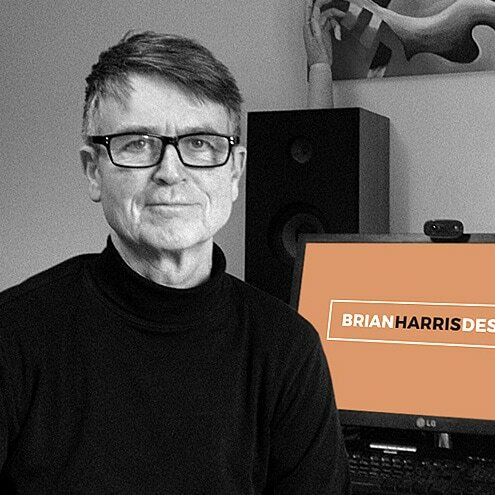 My name is Brian Harris and I am a professional designer with over 30 years experience in design, originally in print & marketing, making the move into web design back in 2000. I design and build websites, create new business logos, packaging design for products and all kinds of printed items from business cards to vehicle graphics. Why should I choose you for design? You'll get both a highly skilled designer and real value for money. My long experience means I can work fast to an agreed budget without compromising on quality. No fuss, no waffle. This combined with the lower overheads (and shorter commute!) of working from a home office helps keep my prices fair and affordable. Although I am based in the countryside near Radstock just south of Bath, thanks to the advances in communications technology, I now work successfully for clients throughout the UK and also in France, Portugal, Indonesia and even a couple in Australia. Today distance really is no barrier. OK so what's the next step?